On the night of 23 April 1206, Baglers sneaked into Nidaros city and attacked Birkebeiners during the wedding between Torgrim of Ljones and Sigrid, King Inge II Baardsson’s sister. 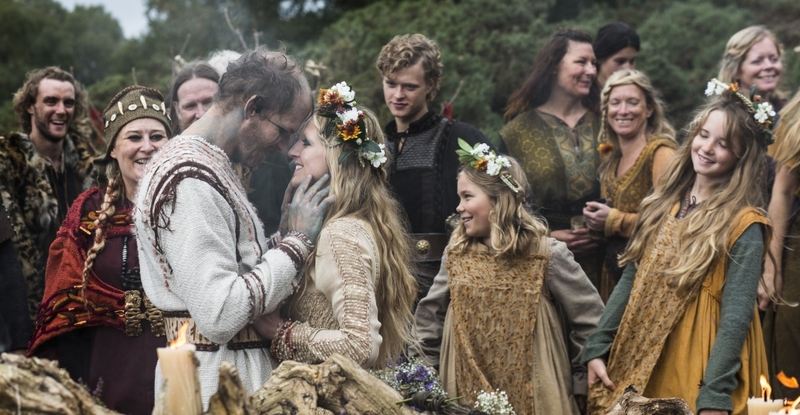 This incident was later named “The Blood Wedding in Nidaros”. Following the Viking Age, Norway was tormented by civil war, and in 1177 King Sverri and his Birkebeiners (Old Norse: Birkibeinar) took power. The Birkebeiners were rebels and a political party who fought against Danish supremacy, but the alliance did not get complete control over Norway until the election of King Haakon Haakonsson in 1217 (later Haakon IV of Norway). The insurgent group’s name was given by the Baglers, and originally intended to be offensive – because they were poor, referring to their leggings of birch bark to keep warm. 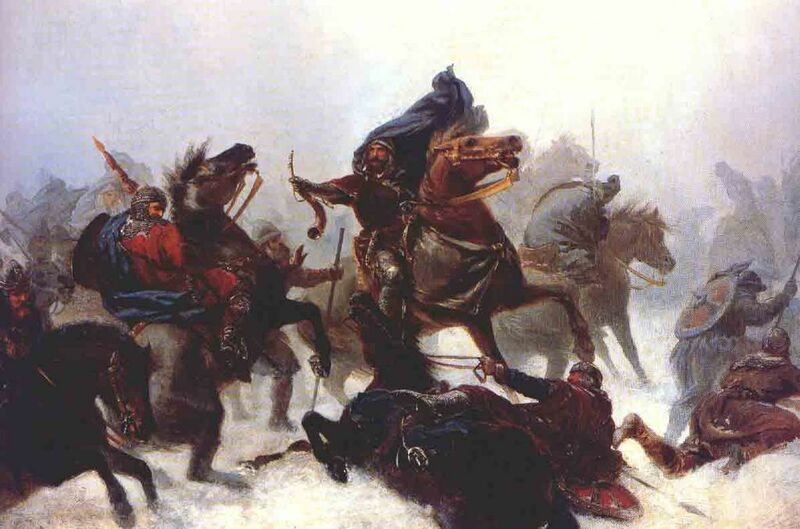 The most famous group that fought against the Birkebeiners was the Baglers, with strong support from Denmark. On April 16, they arrived Agdenes just inside the Trondheimsfjord with at least 14 ships, and on the evening of April 22, the army sneaked unobserved into the city of Nidaros while people slept off their drunkenness following the wedding celebration. The Baglers slaughtered everyone they ran into, but many Birkebeiners escaped under cover of darkness, among them King Inge and his brother Skule. The groom survived the attack, while the bride was murdered. According to sources, the Baglers killed about ninety powerful people. The number probably only includes what historians find worth mentioning, but many more of lower rank must also have been slaughtered during the attack. According to sources, a personal tragedy occurred when a Bagler hewed down a Birkebeiner who tried to flee. When the Bagler turned the dead, he saw that he was his brother. Full of grief, he threw away his sword. Approximately 200 Birkebeiners survived and escaped from Nidaros along with King Inge II Baardsson. The Nidaros war booty was impressive: Body armor for a whole army, as well as several ships. The Baglers took about three hundred chain mails, in addition to the ships Gullbringa, Gjesteskålpen, Darrhetta, Lyrta, Ognarbranden – and several others. In addition, they had already burned the ships Klaaden and Elften. After the escape, Inge II Baardsson gathered 2400 man, and on April 23, he went back to Nidaros – but the attackers had retreated to their ships and abandoned the plundered city. By now, local chiefs joined the attackers and the army consisted of at least 2000 man. The Baglers finally lost the long and bloody fight against the Birkebeiners and completely gave up the resistance from year 1217 when King Haakon Haakonsson took power, and their role were eventually taken over by other rebel groups. 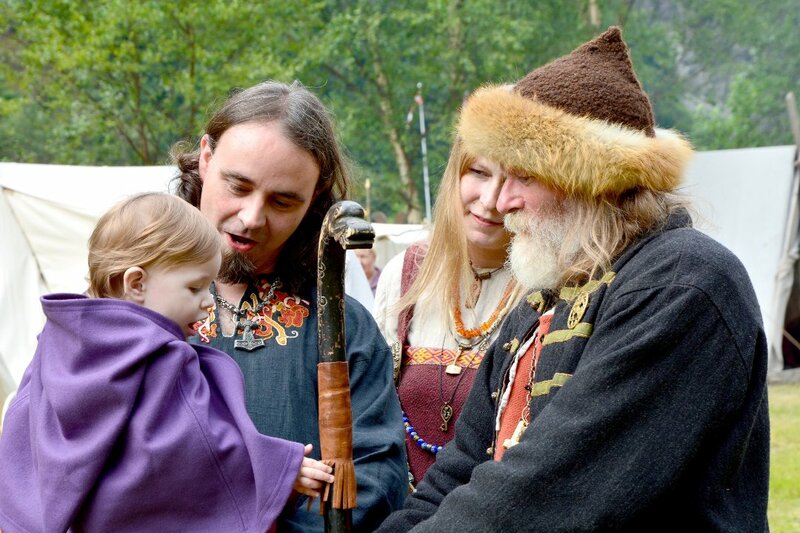 You are welcome to learn more about the exciting Norwegian Middle Ages here in ThorNews’ History Section. Source: Store Norske Leksikon, Local sources including Wikipedia.no. ‹ “Hammer bridge is falling down, falling down…” Or? 14 ships not seen entering the harbor…wow! must have been a great wedding party. moral of the story: there is never a safe time to let your guard down in uncertain times.